There have been scores of Italians in London since the first half of the 19th century, when they settled in areas such as Soho and Clerkenwell, and gave us everything from street entertainment to sculpture to ice cream for the masses. They must like it here: there are now 220,000 registered Italians living in London, and likely lots more besides. But what's it like being an Italian in today's London? And if you're not Italian, how do you become an honorary one? We spoke to some expats to find out. Carmelo Carnevale, executive chef at Aman Resorts, president of the Italian Chef Association in the UK and organiser of Gusto Italia UK (from Syracuse, Sicily): It was a misunderstanding. In 2001 I sent my CV to Sergio Mei of the Four Seasons in Milan. Back then internet was not common so CVs were sent via fax. When my CV was sent, Mei was with another chef, Alberico Penati [who was working at Harry's Bar in London]. Penati picked up my CV and called me. He asked if I wanted to go and work for him but he did not introduce himself. I said yes thinking he was Mei and that I was going to go to Milan. When he asked me when I could go I said that I needed a day. Only then I realised that I wasn't speaking to Mei! However I already said yes and gave my word. I never looked back. Clara Caleo Green, artistic director of CinemaItaliaUK (from Lunigiana, Northern Tuscany): After my first year at Pisa University, I came to learn English. 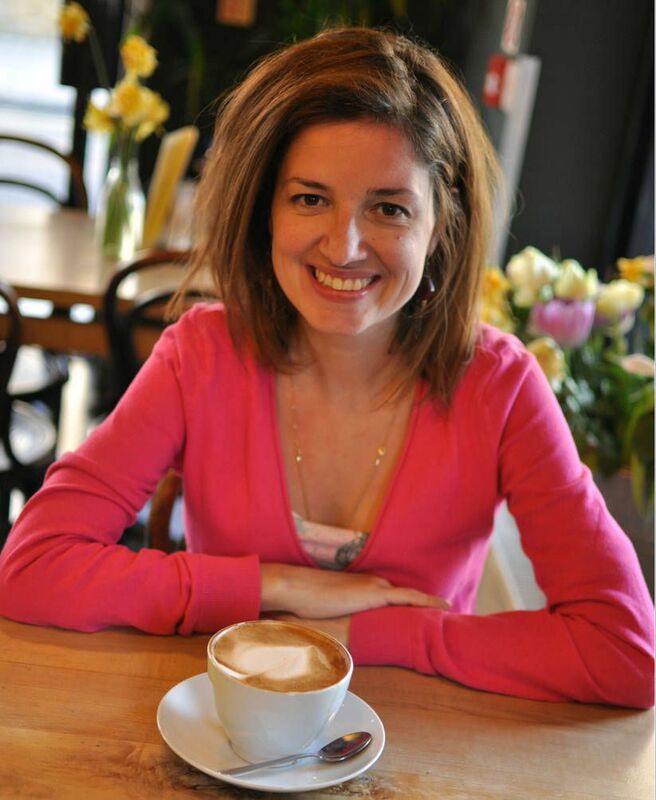 Teresa Pastena, founder and director of CV&Coffee, a recruitment company specialising in qualified Italian speaking candidates (from Avellino, a small town in the South of Italy): My first trip in London was in 1996 with my school. I fell in love with the city and in 2013, after spending several summers and mini-holidays, I moved here for eight months. I then came back to Italy to complete my studies. In 2008, after a few experiences abroad, I decided to move back to London as the job opportunities in the not-for-profit sector were higher than any other cities in Europe. I promised to myself that I would have never come back to London. But here I am. Again. Luca Vullo, a filmmaker and producer from Sicily. In the last three years Luca has become an Italian gestures expert, leading workshops as a speaker in many universities around the world: It wasn't my dream or my childhood wish. I never thought that London was the best town for a director, but it was the best town to grow up in a professional and personal way. Silvia Baretta, former sales and marketing executive at Londonist (from the outskirts of Padua, half an hour from Venice): I came to London because I wanted to try and work abroad after finishing my bachelor degree in Italy. I got a scholarship thanks to the Leonardo Da Vinci programme. I was supposed to go to Madrid but at the last minute I got a positive response from London so there you go! My internship at the Brunel Museum lasted five months and then I decided to remain here. Roberto D’Alessandro, business director of Chairs & Coffee, a coffee shop/wine bar in Fulham (from Verona): I lived in London twice. The first time willing to do an experience, the second time willing to survive the crisis! Between the two 'sessions' I remember that I promised to myself that I would have never come back to London unless I had to visit friends. But here I am. Again. What do you, as an Italian, love about London? Carmelo: As a chef I love that I can try and sample many different cuisines which are not altered to please a western palate. It's a city that never rests in terms of new ideas and concepts. Teresa: The opportunity to earn good money even when you don’t know anyone. You get what you want in London, as long as you can demonstrate your skills and motivation. Here the audience is ready to appreciate something completely new and out of the schemes: something that Italy should definitely learn from London. Luca: The energy and the rhythm, the multiculturalism, the creativity. The sense of freedom from judgement. The town is one of the best in the world — it's a special source of creative input. Clara: The freedom to be yourself, the respect of what you are and the possibility to re-invent yourself. Silvia: It's vibrant, eclectic and most of all, always on the cutting edge. All the best artists choose London to put on their show because here the audience is ready to appreciate something completely new and out of the schemes: something that Italy should definitely learn from London. Roberto: Italians love food. And I love the fact that here I can imagine in which part of the world I want to be and have a different type of dinner every day. I also love the unlimited choice of wines that can be found here! Back in Italy we have outstanding wines, but we stick with the local ones. Which parts of London remind you of home? 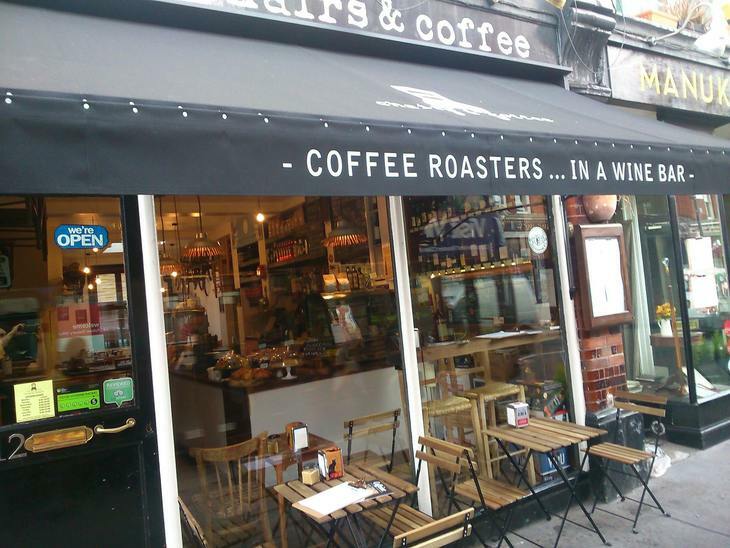 Teresa: Angel, where I live, with a few Italian delicatessens selling amazing bread and good coffee. Luca: St Peter's Italian Church, The Italian Bookshop, the Estorick Collection of Modern Italian Art, and Genesis Cinema [during special Italian events]. 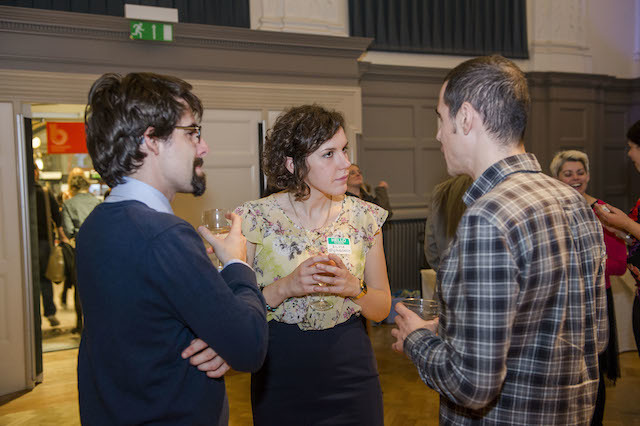 Silvia: If I were to look for the sense of community and homey feeling, I'd certainly mention Rotherhithe. This lesser-known part of town has a real community spirit; here everyone knows each other and is familiar with the people in the area. This reminds me of that lifestyle you encounter in a small Italian town. Carmelo: I come from a city near the sea so it's difficult for me to find a place that reminds me of home, however when I am in Soho it reminds me of home because it's still where a lot of the Italian community is. Roberto: Even if I hear people speaking Italian everyday, this does not remind me of home. It is too different here. We are the same people on a different boat. 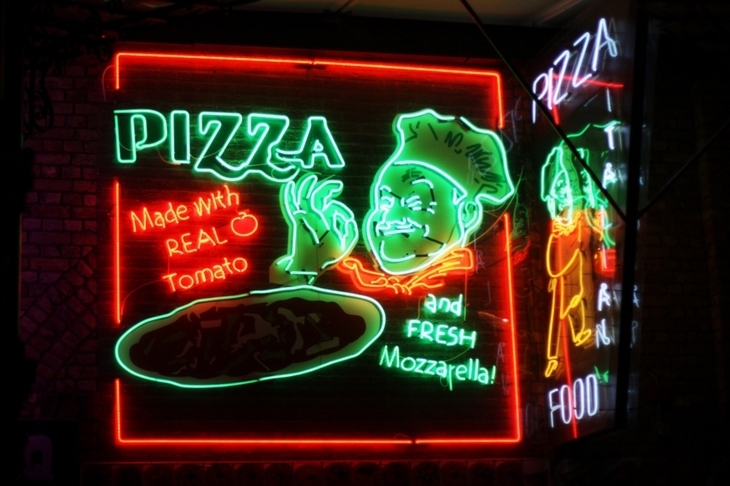 Where in London do you hear the most Italian being spoken? Teresa: Italians are everywhere in London. Many years ago, you could have met Italians only in central London, now we are pretty much everywhere. When my mum comes to visit me, she can go out on her own despite not speaking one single word of English: I can promise you she would meet at least one Italian that will help her if needed. When my mum comes to visit me, she can go out on her own despite not speaking one single word of English: I can promise you she would meet at least one Italian that will help her if needed. Roberto: We are almost everywhere, but especially where there’s food and drinks! Luca: Camden, Hackney, Soho, Oxford Street, Piccadilly Circus, but by now we are everywhere. We are the second population in terms of figures in the UK. We are a virus! Carmelo: Everywhere! In the last five years there has been an exponential increase in the Italian population in London due to the economic crisis that is affecting Italy. A lot of people, young and older come here with the hope of a better future. How do you feel when you encounter other Italian people in London? Teresa: When I moved to London back in 2008, I tried to avoid Italians, only for one reason: I had to improve my language skills. Now, and especially with my job, I feel very empathetic with those who decide to leave a country that can’t offer a future to young people any longer. I believe that Italians living abroad are those who have decided not to accept Italian rules and nepotism anymore, therefore are more in line with who I am as a person. You need to be strong and motivated to leave your friends and family behind and start from scratch in a town which isn’t the friendliest one. Having said that, Italians in London are not only involved in food related jobs: there are plenty of talented Italians in London and in the UK. I feel at home speaking to other Italians — and laughing about all the clichés we have about English people! Luca: I feel good and I'm curious. I'm not a person escaped from my country to avoid my population. I'm so proud and glad to be Italian. Obviously my wish is to spend time with people from all over the world but with Italians too. There are a lot of amazing compatriots. Roberto: I think about how many of us are leaving home in order to find better life... Good luck to everyone guys! Silvia: I like it, I feel at home speaking to other Italians and sharing our common experience here in London — and laughing about all the clichés we have about English people! What's the best Italian show in town? Silvia: I really like the fresh, fun and out-of-the-schemes version that Popup Opera gives of traditional Italian operas. I also really like watching Italian films at the Cinema Italia UK film club: they always choose great films and most of the times invite actors and people involved in the film for Q&A sessions. Carmelo: I don't know at the moment but in April  Aldo, Giovanni e Giacomo will be performing in Hammersmith, I already got tickets to go and see them... I am sure I will be laughing a lot! Luca: Good question, it isn't easy to find an answer... maybe my hilarious and educational workshop about Italian gestures?! Where do you go to eat good Italian? Teresa: I tend to cook Italian food at home, I can make handmade pasta — gnocchi — although finding the time to actually make them is another story! I recently went to Franco Manca, and their pizza is very Neapolitan style. Silvia: First of all, you have to know that my favourite Italian dish is pizza. I have tried many pizzerias and pizza places around London and I can say that my top three are: Homeslice in Neal’s Yard (my favourite! ), PizzaMetroPizza and Pizza Pilgrims. Carmelo: At home. My wife is an excellent cook. For us Italians, food is not just something necessary to survive but we use it for many reasons: to heal a broken heart, to celebrate an important event, to communicate what has happened during the day and to be reminded of home! Where should a non-Italian person in London go to learn about Italian culture/speaking Italian? Teresa: The Italian Cultural Institute organises organises a calendar of cultural events, including art exhibitions, concerts and film screenings. Alternatively, the Italian bookshop to buy a good Italian book or attend their talks and books presentations. Silvia: Definitely the Italian Cultural Institute: this is a focal point for both language courses and cultural events. With regards to learning Italian, City Lit offers a great selection of learning courses, as well as Idea Store in Whitechapel. I also suggest you find a native Italian friend and speak with them! Roberto: First of all, becoming friends with Italians is a very easy job. That’s the quickest and cheapest way to learn Italian culture... and there are also many language exchange meetups in town. What's the best annual Italian event in London? Roberto: There are many food exhibitions in London, I love all of them! And I really appreciate that most of the people love what we love, especially when it is time to eat! Carmelo: As a chef, for me the best Italian event is in Harrods — Italian Week, where famous Italian chefs prepare different dinners every night. It's a real delight. 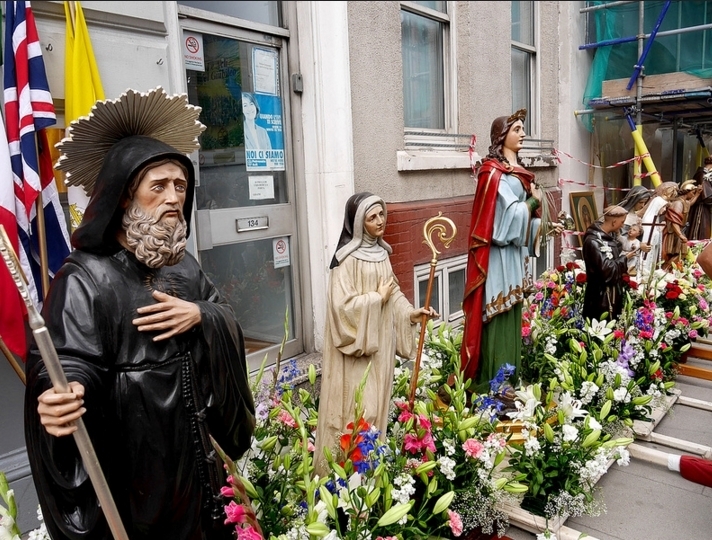 I also really like La festa della Madonna del Carmine that takes place outside the Italian church in Clerkenwell. It's where elderly and young people meet and celebrate together. Teresa: If you are interested in the Italian market for business opportunities, there are plenty of networking events organised by the Italian Chamber of Commerce, including an annual conference which is good for networking. I really appreciate that most of the people love what we love, especially when it is time to eat! Silvia: I really like the Moretti Gran Tour. It’s a food and drink pop-up happening over three or four days with a selection of Italian food vendors based in London, plus a lot of Italian beer. Check it out! 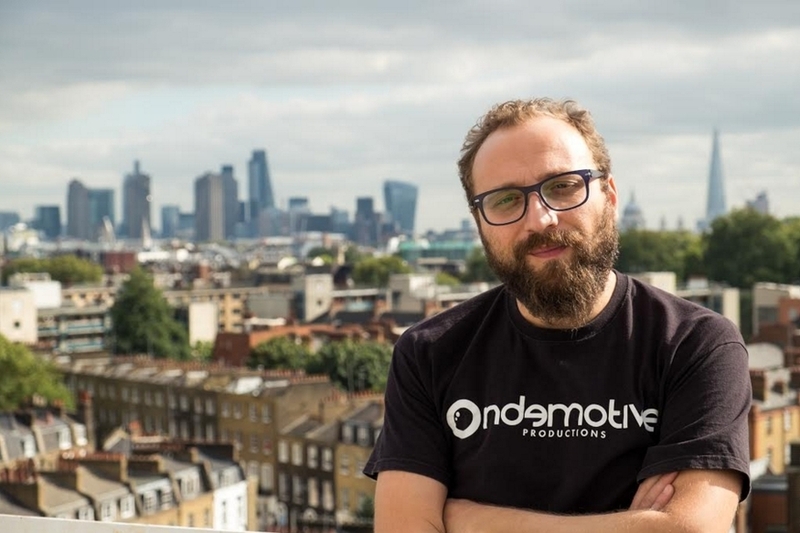 Luca: Honestly I don't know but in my opinion the best for the next year could be the release of my next movie INFLUX, about the contemporary migration of Italian in London!